Hello everyone my name is paul i live in kincardine on forth(fife), i treated my self to a coleman explorer last summer, i have only used it a couple of times up at loch lubnaig last year but i hope to get much more use out of it this year. Good luck getting out on the water this year, I'm sure you'll find lots of pictures on this site to temp you out. Is that boat stapped on, or is there come sort of a fixed clamp arrangement in use there, between the rails and the gunwales ? 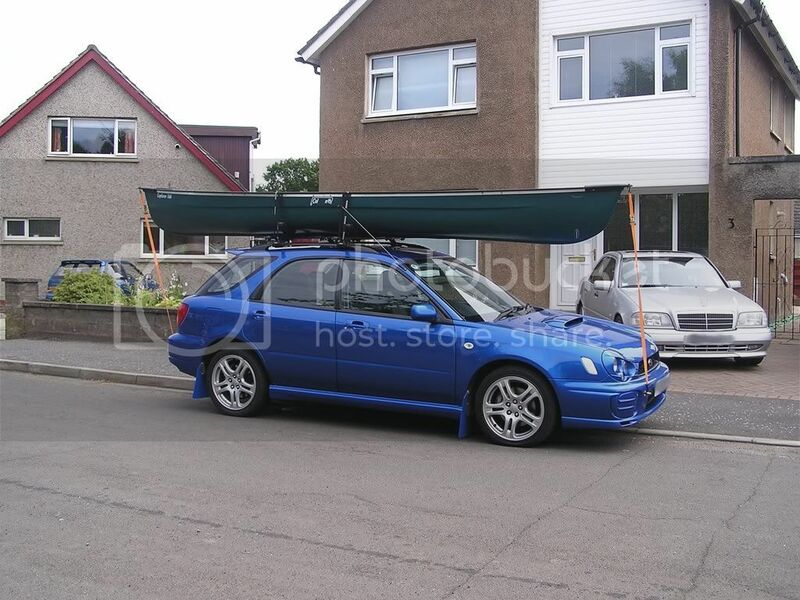 Thanks for the replys guys, the canoe is ment to sit the way it is shown in the picture , it sits on four pads that mold to the shape of the hull of the canoe, there are then two straps that fix it in place. I have seen fixings like that used for kayaks but not an open canoe. I am sure it will be secure enough as long as it does not have the chance to fill up with water. If it is just loaded up then unloaded when you get to the water it should not be a problem. Ah, thanks - it's either a new monitor or glasses for me then ! Hi alan, no it wasnt me you spoke to at christmas, thanks for the welcome though.